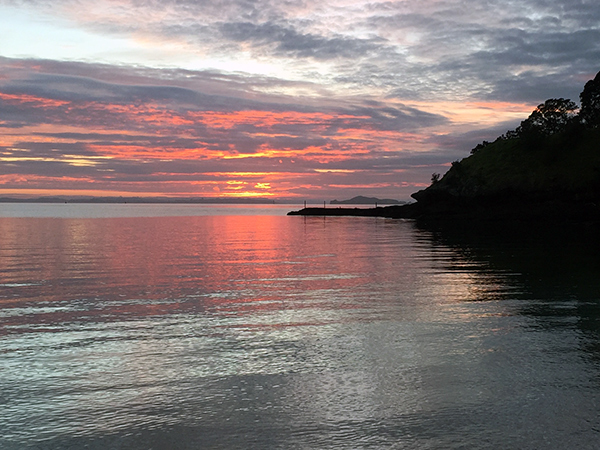 It was very tough leaving Waiheke Island. 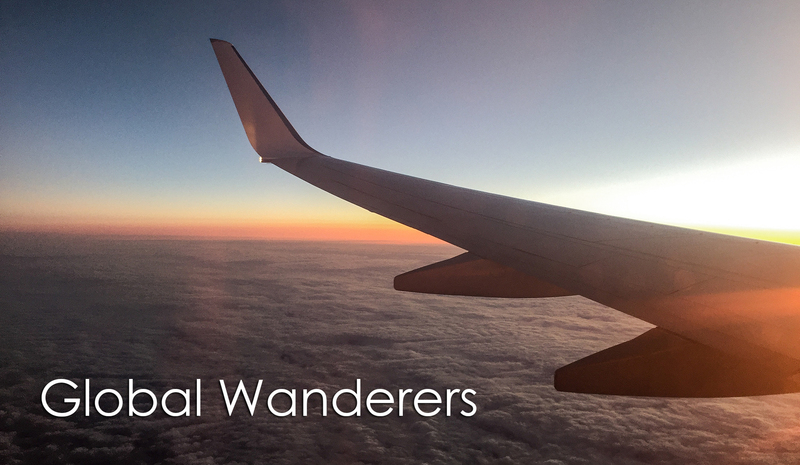 We had both fallen in love with the place so much we could have stayed on for much longer. 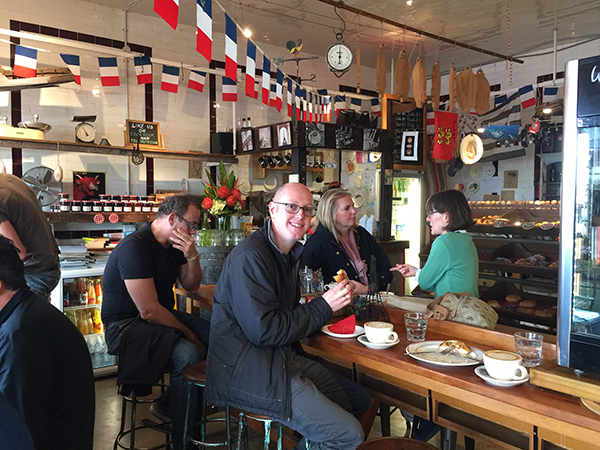 But…we had a commitment awaiting us in Devonport, Auckland. 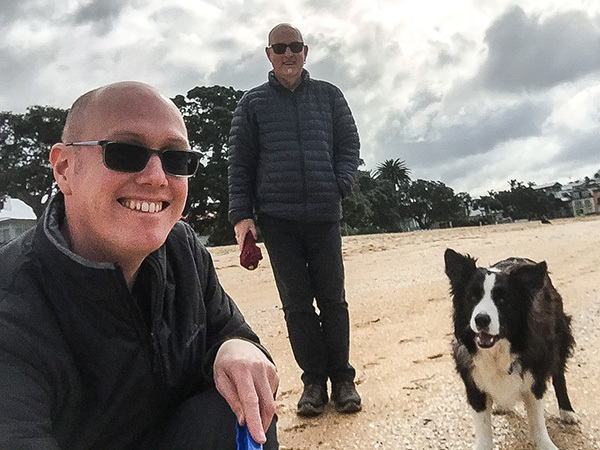 It was only a short ferry trip of 30 minutes from Waiheke to Devonport so we could always pop back to the island for a day visit! 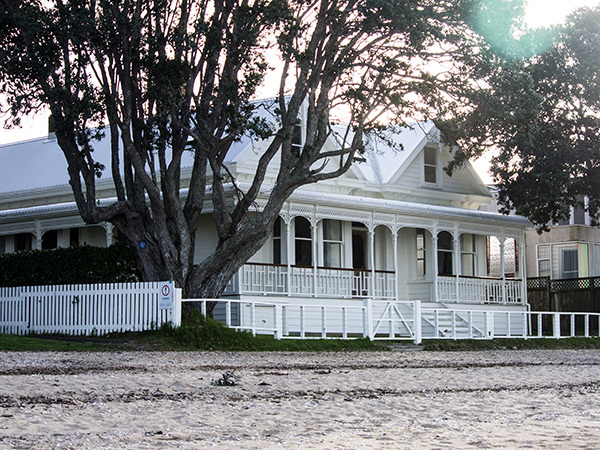 We were met by Bruce the homeowner at a beautiful hotel in Devonport where we had a drink and got to know each other. Bruce’s wife Pixie had already left for Paris and Bruce was going to join her in two days time as he had some work commitments he had to attend to before leaving New Zealand. 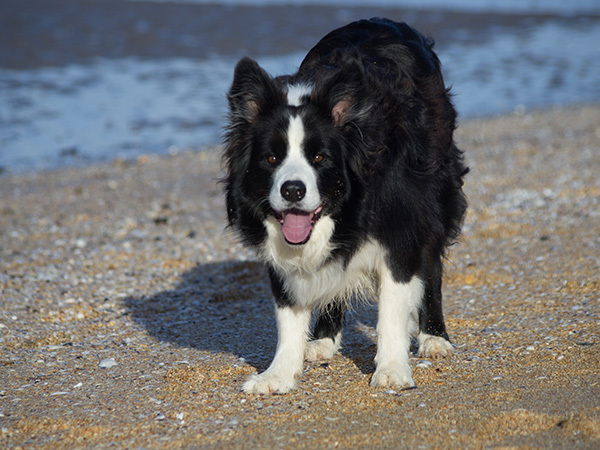 At the time we accepted the house sit we were told we would be looking after “Solo” the border collie and “Chuppy” the 16 year old cat. 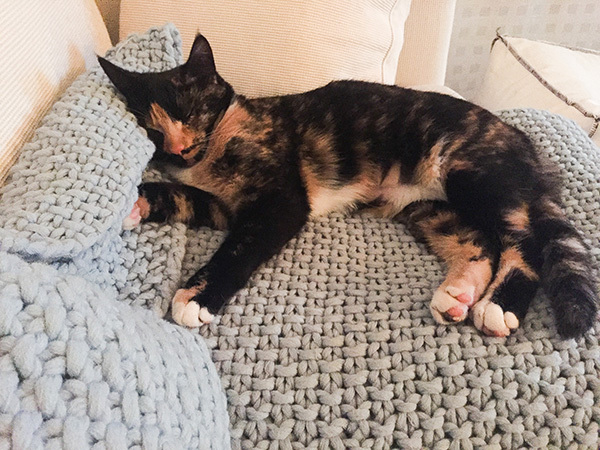 But to our surprise there was a new addition to this furry family by way of “Mo” the stray 5 month old kitten that had made herself at home and decided to stay a few weeks before we arrived! 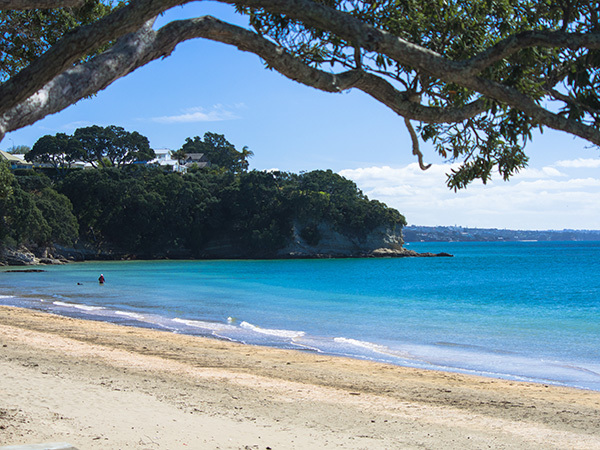 The area of Devonport is on the North shore of Auckland and just a 20 minute ferry ride from downtown Auckland. For those of you who know Hunters Hill in Sydney you can get an idea of what this area is like. The only differences here is that Devonport has an extinct volcano and a lovely beach, two things that Hunters Hill hasn’t got. 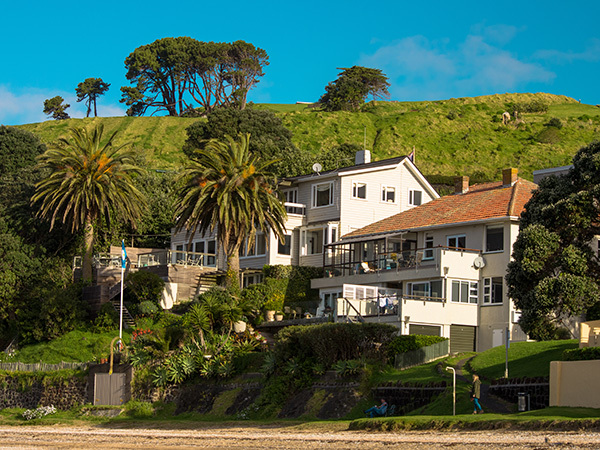 Cheltenham Beach is only 50 metres from our housesit and the extinct volcano (known as North Head) backs right onto the house. Let’s hope it stays extinct! With all the seismic activity in New Zealand, anything could be possible. Everyday we would be woken around 5am by little Mo wanting to cuddle up on the bed. Next Solo would arrive nudging us with his paw to remind us that he was ready for his morning walk. Then before leaving for our walk Chuppy would become very vocal to let us know it was time for his breakfast. So it was all go in the mornings before we even left the house. Our morning walks with Solo were always decided by him. It was either a trek up North Head or a dash to Cheltenham Beach. Either way was fine with us as both walks were just beautiful. Solo is ball obsessed, so we didn’t go anywhere without a ball that needed to be constantly tossed by us and retrieved by him. We think Solo has figured out that he really is the boss when it comes to walk time. 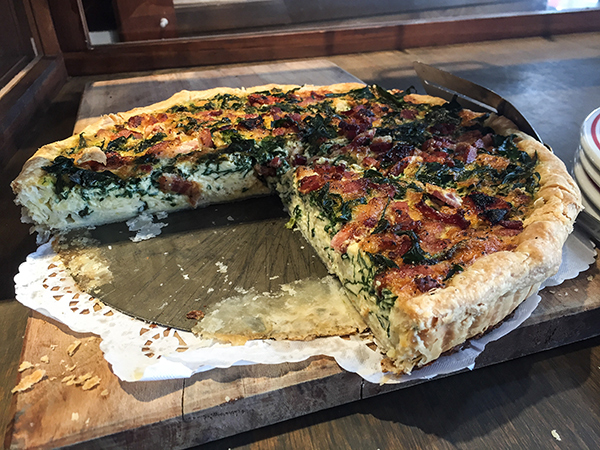 A short distance from our house is the most exquisite fresh bakery / deli called Chateaubraint. This is a place that is definately NOT suitable for anyone on weight watchers! 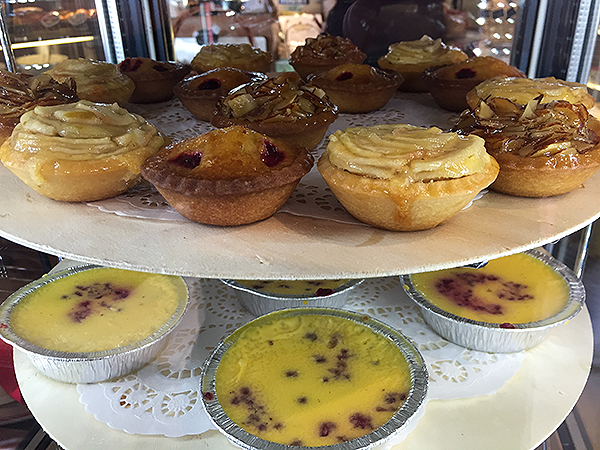 We must confess to visiting there numerous times during our stay. Devonport has a very quaint cinema which is the oldest in New Zealand. We took in a couple of movies whilst we were there. One film that we wouldn’t have usually gone to see was “The Secret Life of Pets” which having just house sat a range of cats and dogs was very entertaining. 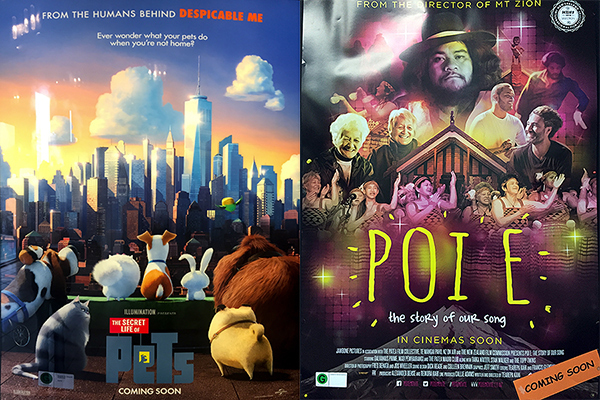 Another film we saw was a locally made New Zealand film called “Poi E“. It is about the number-one hit song by the group Patea Māori Club off the album of the same name. Its popularity is unique in New Zealand as Māori music rarely reaches popular status. 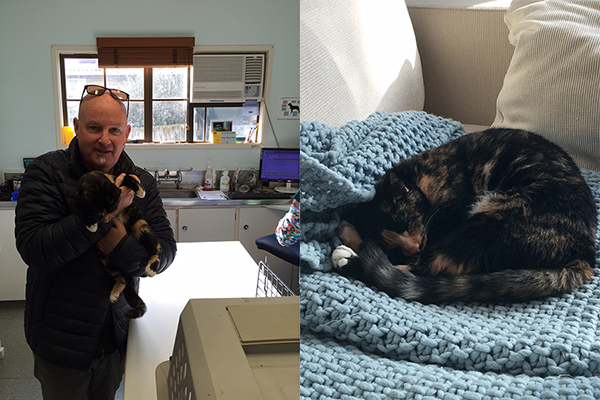 We had a visit to the local vets with Mo as she had been desexed the week prior to us arriving and she needed to have her stitches removed. A week later we had to make a second trip to the vets when Solo started limping after we had been out for our usual morning walk. 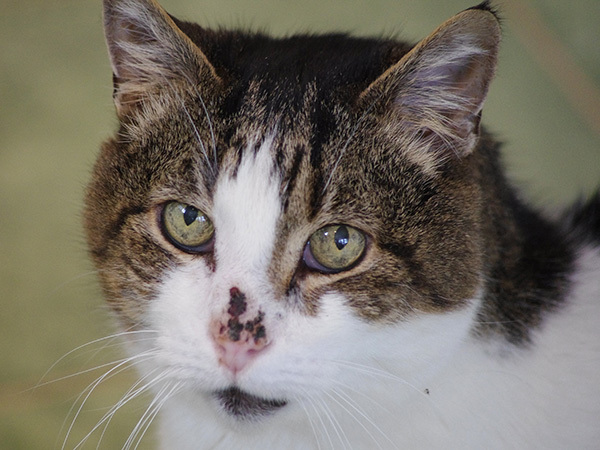 It appears he has had some long term damage to the ligament of his back left leg from too much running and jumping. The vet said for a seven year old dog he is still acting like he is a two year old and we all know things take their toll as we get older! 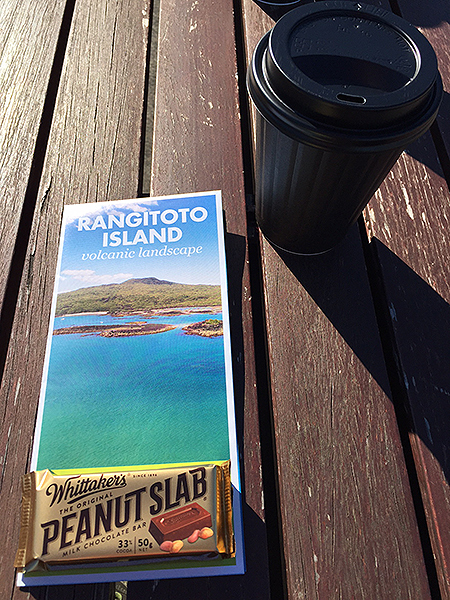 We did a day trip to Rangitoto Island which is another extinct volcano just a short 15 minute ferry ride from Devonport. We would look across to this island everyday on our morning and afternoon walks with Solo, so we thought it best we go and explore it. 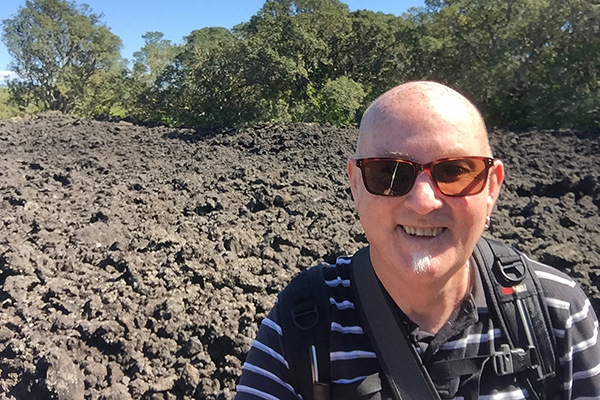 Parts of the island looks like a lunar landscape. 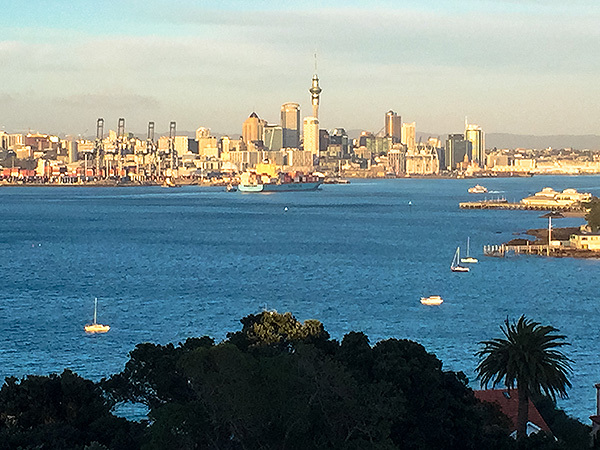 We hiked to the summit where you get spectular views across the harbour to Auckland and surrounding islands, including Waiheke. 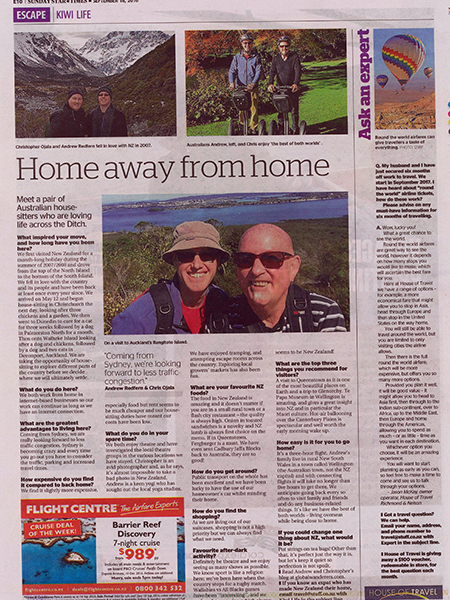 To our surprise, the day before we left New Zealand we had a full page article published in the local press about our travels in New Zealand and about our decision to move to NZ one day. That was the sole purpose of this trip to NZ but best laid plans sometimes take unexpected detours. We have come to love the house sitting lifstyle so much we have decided not to settle in NZ for the time being but to keep on travelling and house sitting across the globe. 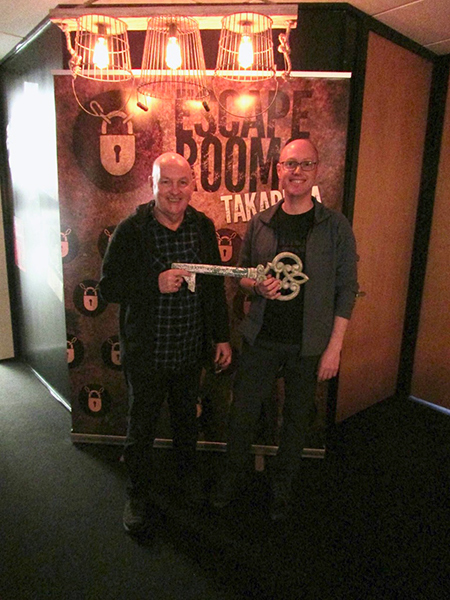 Another surprise whilst we were staying in Devonport was the opening of a new Escape Room in nearby Takapuna, called Escape Rooms New Zealand. When we went online to book we noticed they were opening the following week so we booked the very first spot on opening day. The guys at ERNZ were very excited to have us as their first paying customers and gave us extra time to escape from their Black and White themed room. It was a lot of fun and had some very different puzzles for us to complete to be able to escape the room. We liked it so much we went back a few days later to tackle their “Da Vinci” escape room, which was one of the hardest rooms we have had to tackle out of the many number of escape rooms we have done across Australia and New Zealand. And so our time in New Zealand comes to an end for now. Our plan is to return in February 2017. Next stop Sydney, Australia.